I couldn't resist! 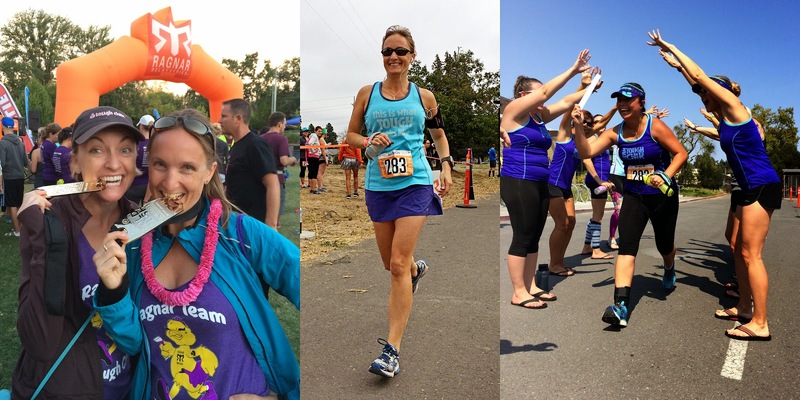 After the fun I had in April at Ragnar SoCal I was desperate for more! And so were most of my team-mates from Team Tough Chik. In fact the whole of our original Van 1 signed up - including our driver. 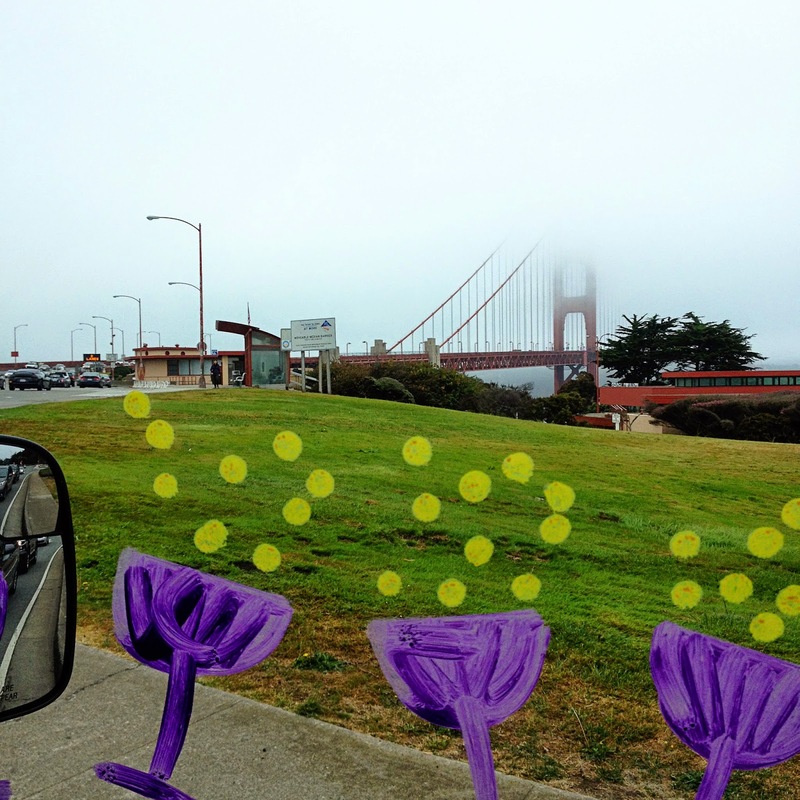 The Golden Gate shrouded in morning mist through the window of our van! This time we ran Ragnar Napa.The race covered 205 miles between the Golden Gate Park in San Francisco, across the famed bridge, through Sausalito and Mill Valley before heading north to San Rafael, Petaluma, and Santa Rosa then winding through the smaller scenic roads of Napa Valley's wine country in a round-about way to cover distance from Napa and eventually finishing in Calistoga by way of the beautiful Silverado trail. Once again I was in Van 1, this time as runner #5 and over the course of my 3 legs I covered 20 miles; 6.4 miles from Mill Valley to Corte Madera up and down a very brutal hill (400ft in just under 1/2 mile!, but then I was rewarded by a beautiful off-road section on a trail at the top of said hill with fabulous views of the bay). 8.6 miles from Sebastopool to Santa Rosa spanning the midnight hour from Friday to Saturday (and just by chance I looked at my watch dead on midnight!). And my third and final leg was a 5 miler looping around Napa along the Napa River trail and finishing on a pretty tree-lined back road heading out of town. Van #1 - Jody, Jen, Krystal, Shannon & myself having just dispatched Julie to run her final leg! 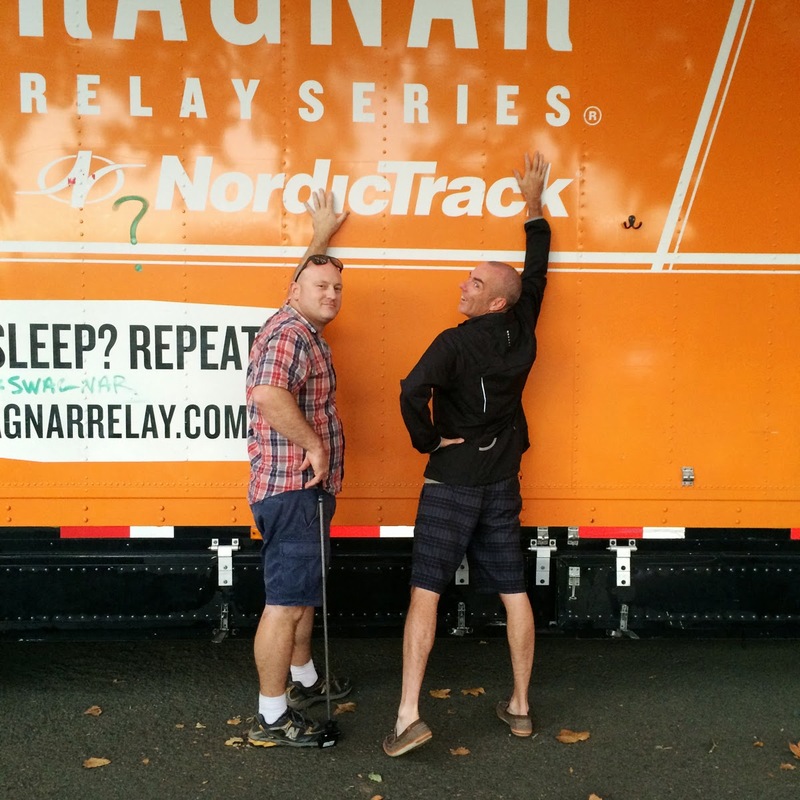 Ragnar is so much more than a pretty run. Though there was plenty of prettiness to look out during our 205 miles. 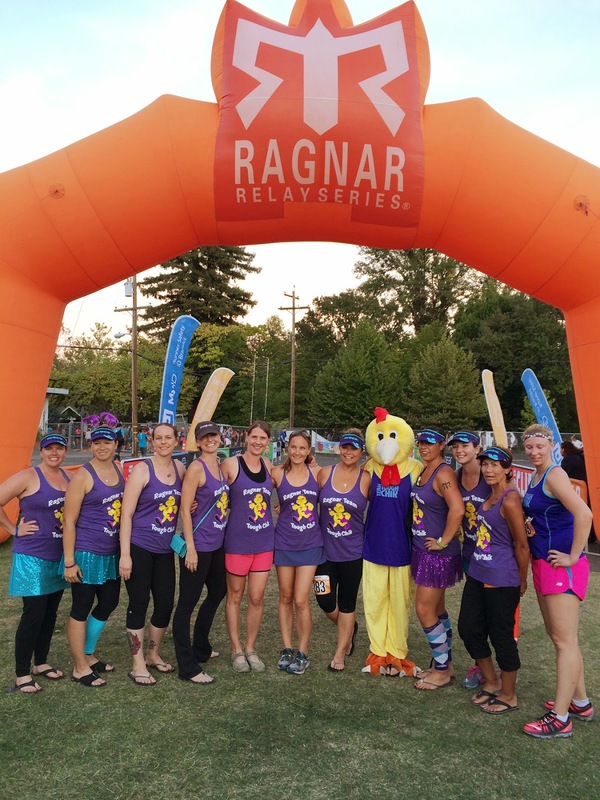 Ragnar is about the people and the team spirit. The fun, friendships, laughter. 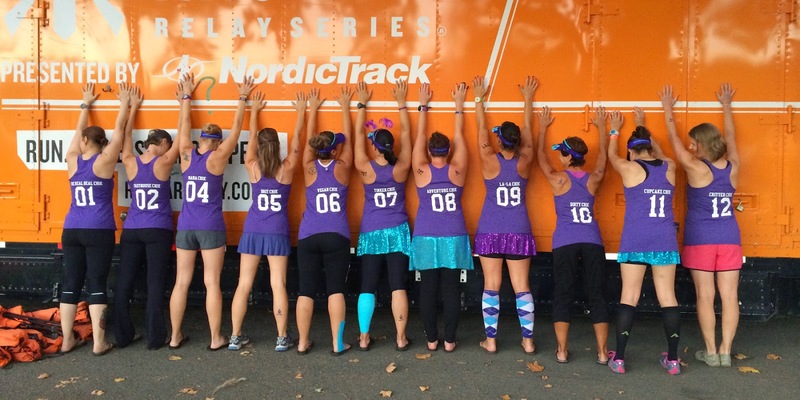 The crazy van decorations, the crazy costumes and the funny, witty and clever team names. Whilst half the team was made up from ladies I'd met at the SoCal event that meant half were new! It was awesome to meet some new friends and re-connect with the 'old'! And for those of us who had done Ragnar SoCal in April and completed this race we received the Ragnar Gold Rush Medal - and what a massive hunk of bling it is too, plus it's a bottle opener too! 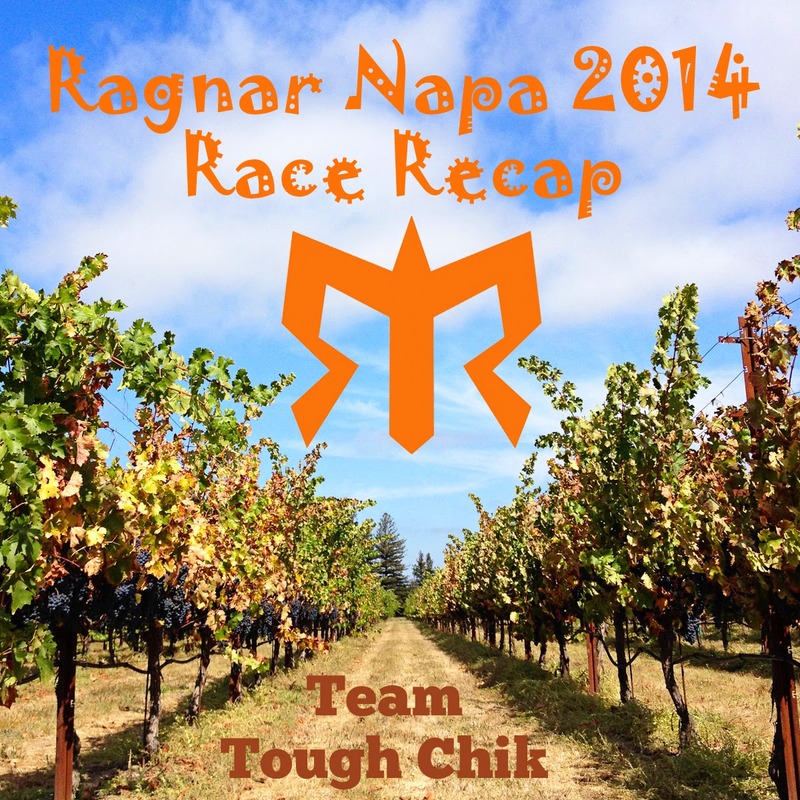 Thank you Team Tough Chik for organizing us, and for being the reason I did Ragnar in the first place! 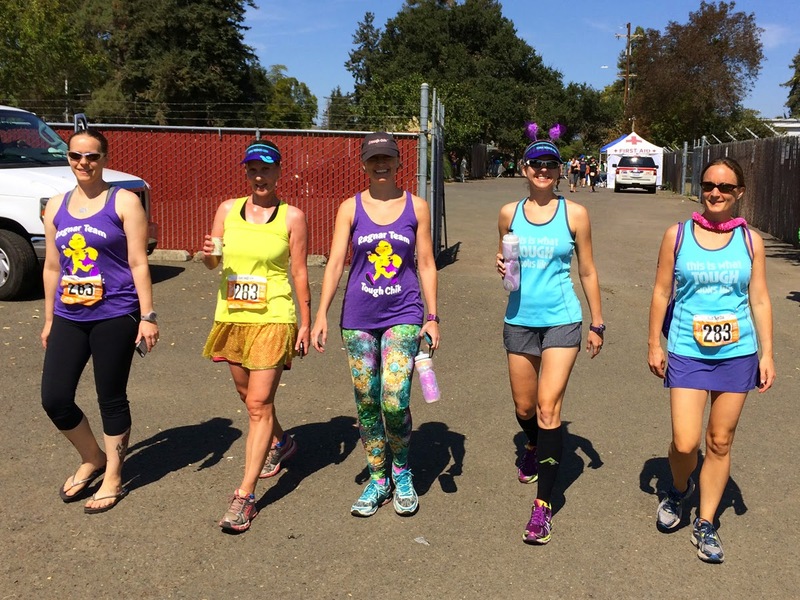 And if you'd like to be a part of this awesome group of women then registration for the 2015 Tough Chik team is open now until 15th Novr! It's open to ALL women, anywhere in the world, from beginner to pro athlete. We have a private facebook group where we hang out and stalk, share or over-share (whatever works for you!) and it's a great network of women passionate for their sport (whether it's running, tri, cycling or archery!) supporting each other and having fun! 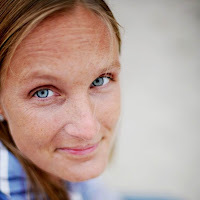 All you need to do to be part of this awesome team is buy something from the team gear catalogue - there's options for cycling, Triathlon or Running and from my past 2 years experience it's totally cute and great quality. I for sure will be back for my third year! Maybe I'll see you there?! sport event are always a good idea both for your body and mind it brings an energy and drive to be more active and fit and the amazing adrenaline rush sort of gets you addicted to sports.